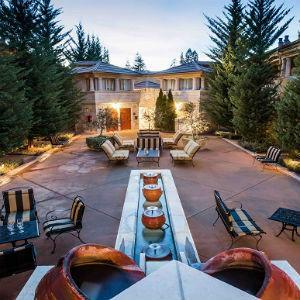 A romantic and mystical experience nestled among the rolling hills and redwood trees of the Russian River Valley. 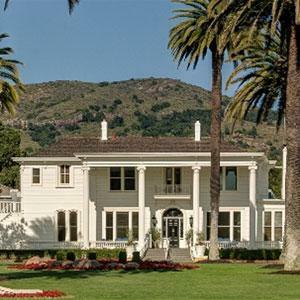 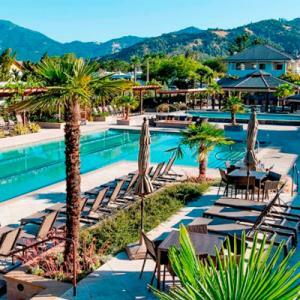 A unique Sonoma County experience with an emphasis on luxurious wine country hospitality. 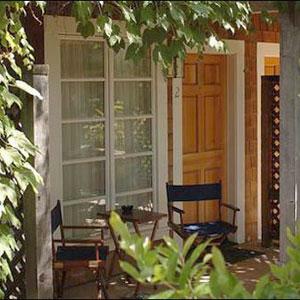 Take in the sounds of Sonoma Creek and views of the Valley of the Moon - made famous by the novelist Jack London. 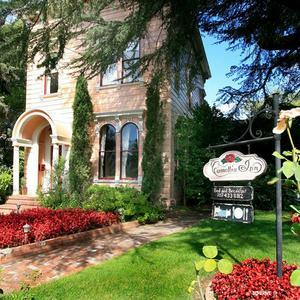 Experience old-fashioned hospitality and a true wine country hidden escape. 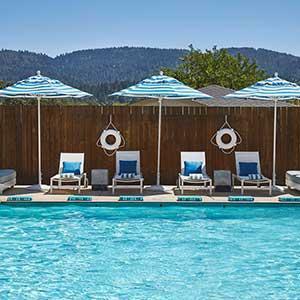 Brand new hotel in Healdsburg, just 1 mile from charming downtown. 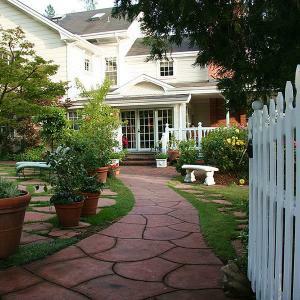 Short drive to a wide variety of local wineries, farm-to-table restaurants and outdoor activities. 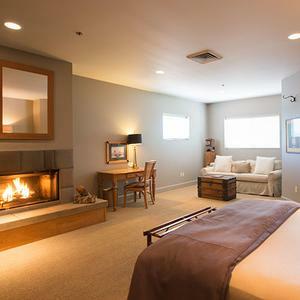 Overstuffed down beds, fireplace, luxurious amenities and gourmet breakfasts. 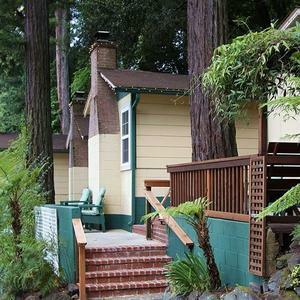 A relaxing getaway near Sonoma coast and redwoods. 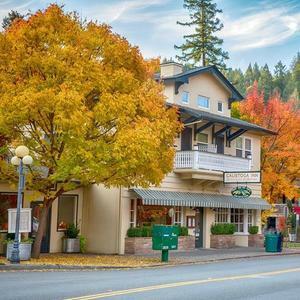 A delicious three-course breakfast and French pressed coffee await you at this quaint historic inn. 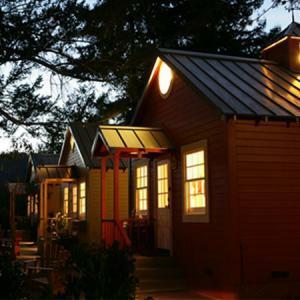 Pizza served fresh from a wood fired oven is offered at some of the evening wine hours. 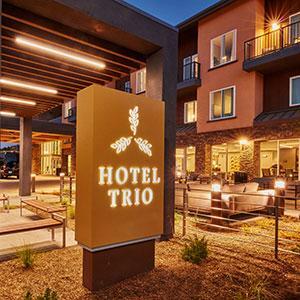 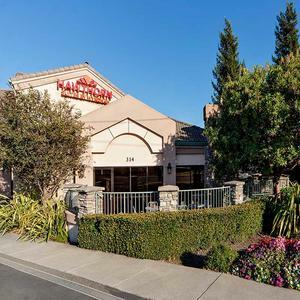 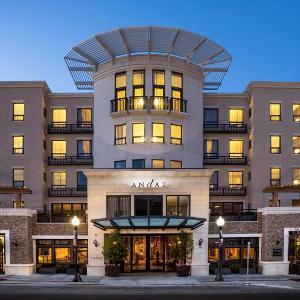 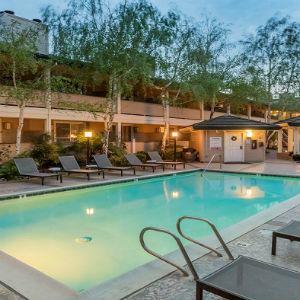 Steps from the historic Sonoma Plaza provides a comfort and convenience to wine country visitors seeking hotel accommodations close to wineries, shopping and fine dining. 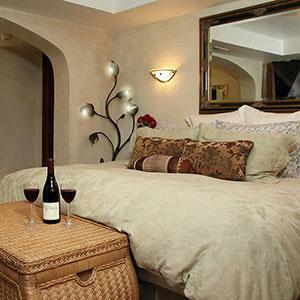 Nestled just a short distance from Historic Sonoma Plaza, Ramekins Inn is the perfect place to relax after a long day of wine tasting. 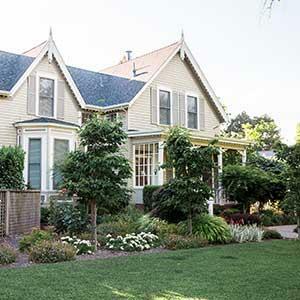 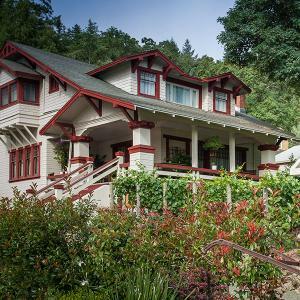 This Russian River Bed and Breakfast situated among beautiful vintage gardens and redwoods is the perfect “base camp” to explore the icons of the region. 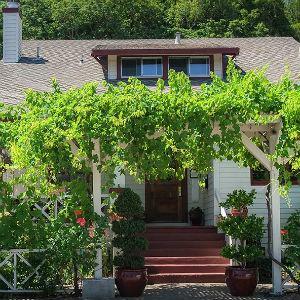 Above the Russian River Valley on four acres, this country bed and breakfast overlooks vineyards surrounded by redwood ­forested mountains. 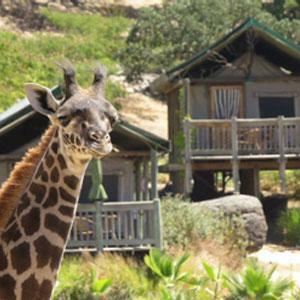 Sonoma County Lodging - Luxury Safari Tent Camp Adventure complete with beds and en-suite bathrooms that offers an intimate exposure to the African animals that inhabit our wildlife preserve. 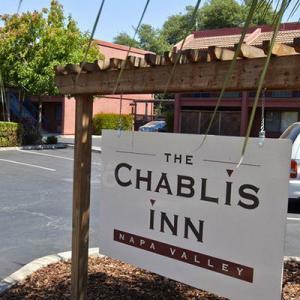 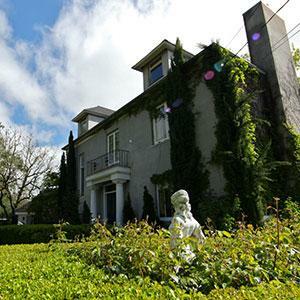 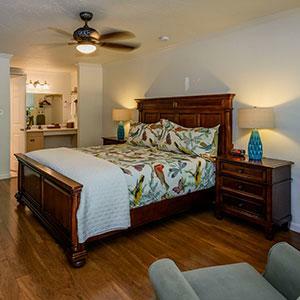 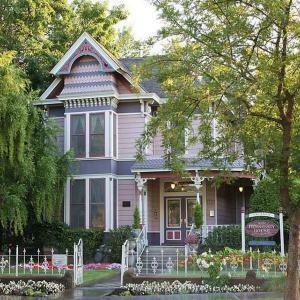 The Camellia Inn offers an artful blend of antiques and modern comforts in an ideal Healdsburg location, just two short blocks from the historic plaza. 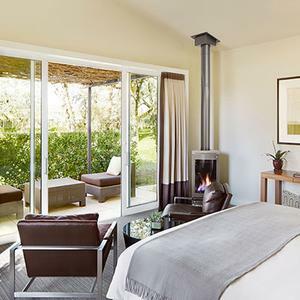 This hilltop bed & breakfast retreat is near hundreds of wineries in the Dry Creek, Alexander, Russian River, and Anderson Valleys. 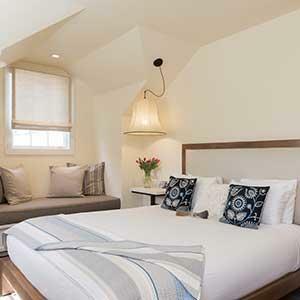 Enjoy a full breakfast, in-room massages, and private entries in one of Old Crocker Inn's lodges, cottage rooms or suites. 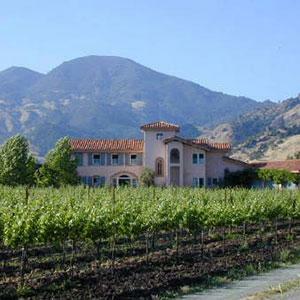 Only 20 minutes from 50 premier Sonoma wineries. 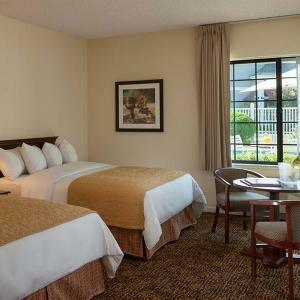 Lodging includes complimentary: continental breakfast, high-speed Internet, premium wine-tastings and much more. 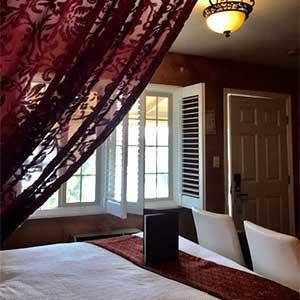 Exquisite new boutique hotel located one block from town plaza. 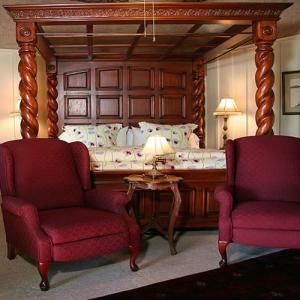 Gracious ambiance of a classic 18th century European.